Hi Verve friends! Our January digital release went live in the shop this morning. 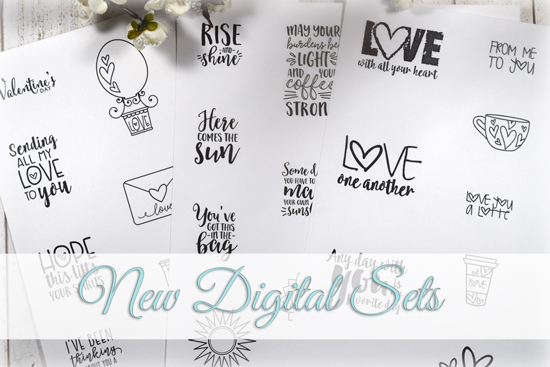 I've had so many requests to bring back the Love From Me digi that was available for a limited time last year, so if you're one of the ones waiting for it, today is your lucky day! 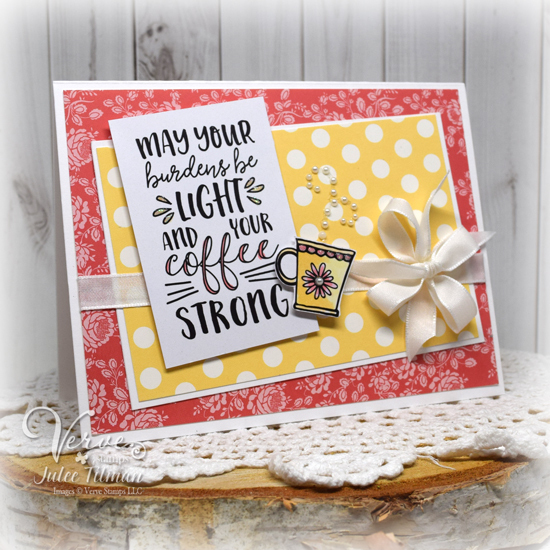 To round out the set, I updated it with the addition of a new mug that coordinates with the Happiness in a Cup Die Set and the sending you a latte love sentiment. All of our digital sets come as a compressed zip file you can download, extract and then manipulate and print in a word processing or photo editing software. 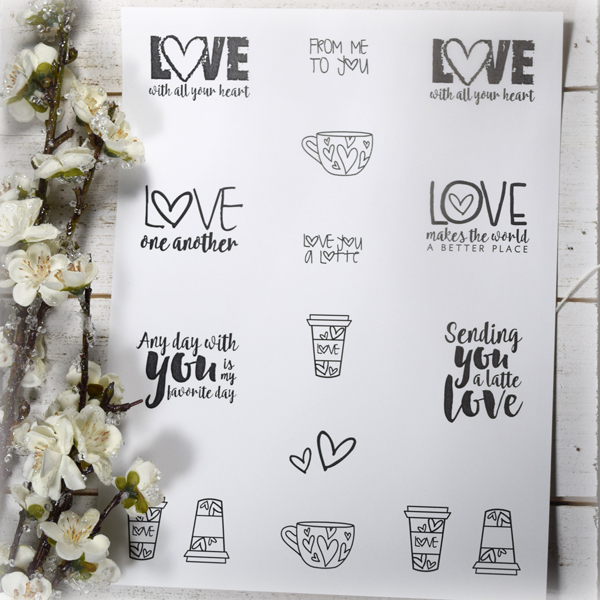 We also include a printable PDF with the images and sentiments sized for cardmaking and laid out and ready to print on an 8.5 x 11 sheet of paper. Above is a photo of the printed pdf. I print on a laser printer on smooth white cardstock so I can use a variety of coloring mediums without ink bleeding. Here's a card I made with the set. 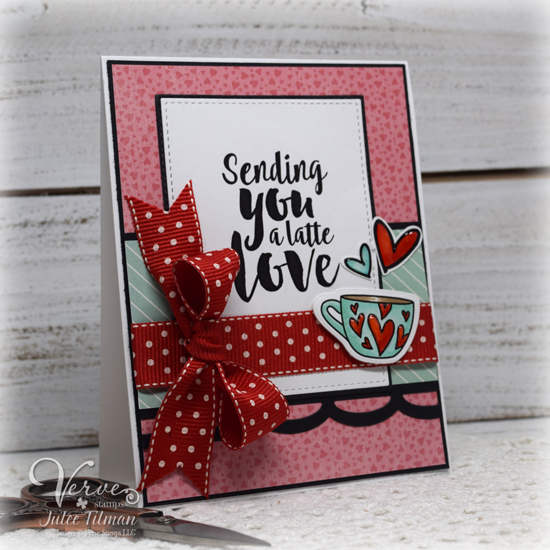 You can find a whole latte inspiration using this digi on our Love From Me Pinterest Board. We've also brought back the Rise and Shine DIGITAL Set with a little update and a few additions. 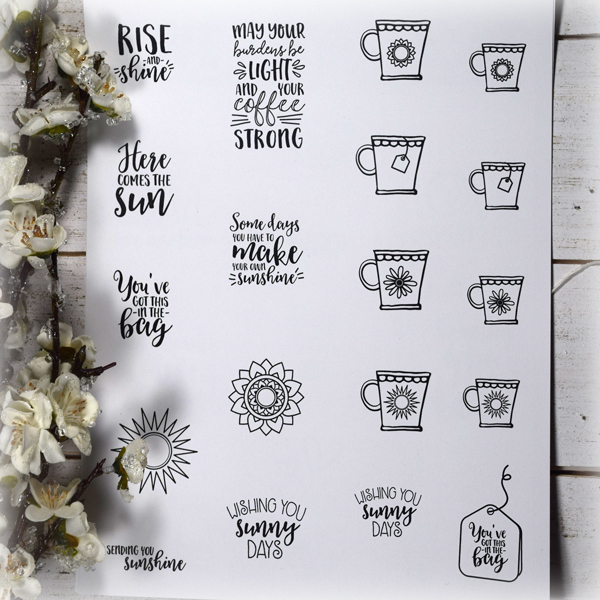 I added a few new sentiments, a tea bag around the smaller you've got this in the bag sentiment, a sunflower and a sunflower mug to round out the set. Below is a photo of the printable PDF. Here's a card I made with the set. You can find a whole latte inspiration using this digi on our Rise and Shine Pinterest Board. 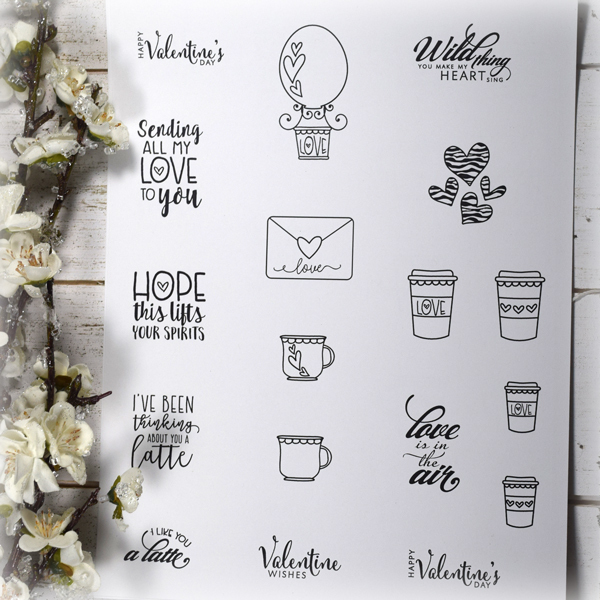 This whimsical valentine set is filled with hope and love and would make the perfect little pick me up notes for your coffee loving friends and loved ones! Here's a photo of the printable pdf. While I don't have a sample card for this digi yet (GATE testing and 1st grade enrollment/charter school lottery applications have taken over our lives this week), I'm sure to have a bunch for you in the coming weeks! If you've placed an order over the past several months you may have received a printed hope this lifts your spirits sentiment tucked in with your order. I've had lots of requests for this one to be made available and thought it fit perfectly with the uplifting theme I was going for. All of our new digis as well as a lovely collection of love and kindness products are on sale 30% off through January 31.